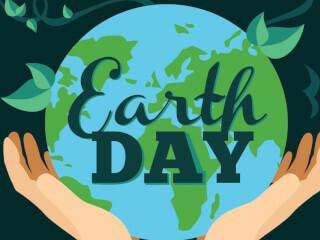 Help clean-up walking trails and plant crops during Snipes' 11th Annual Earth Day Festival. 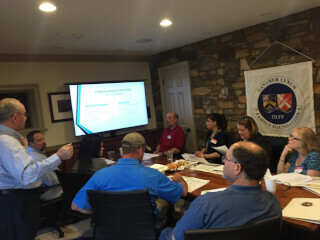 Click more details to sign-up by April 19th. 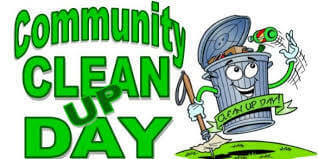 Assist in keeping the preserve clean for the community to enjoy. The more trash we collect, the less will get washed into our waterways! Lunch will be provided & parents are welcome to join! Click more details to sign-up! 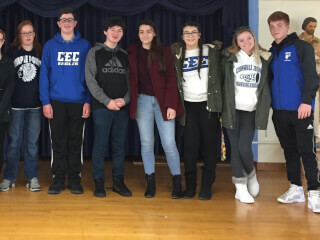 On Saturday, March 23rd DLFF students assisted Snipes with their first annual pasta dinner. 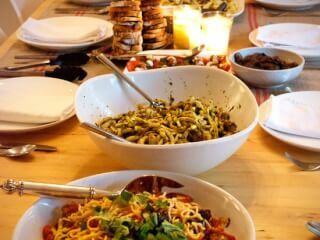 All proceeds from the dinner will benefit Snipes Summer Farm Camp. 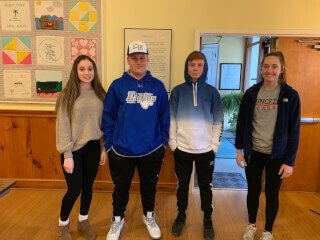 On Friday, March 22nd DLFF Scholars helped Snipes staff and camp volunteers prep for the first annual pasta fundraiser. 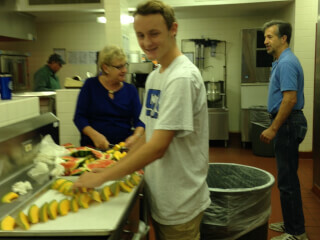 Students helped make pasta sauce, sauteed vegetables amongst other menu items. 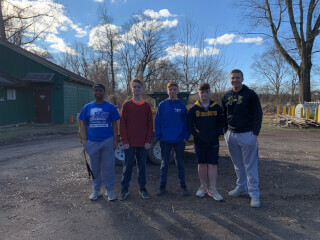 On March 16th, DLFF students helped Pennsbury Manor with groundskeeping and garden prep in the kitchen garden. 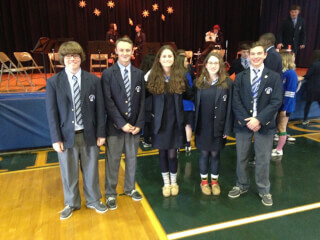 Students learned how to properly prune and learned about 17th Century flora. 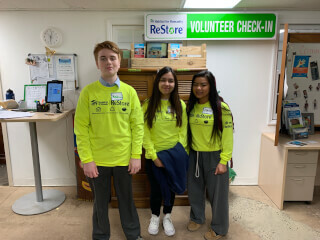 On Wednesday, February 13th DLFF staff and scholars volunteered at Habitat for Humanity's Langhorne ReStore. 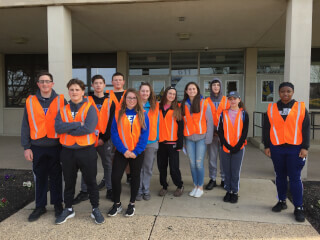 Volunteers helped stock goods and assisted customers making store purchases. 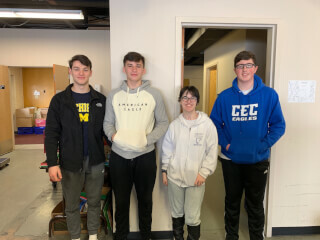 On Saturday, February 9th DLFF students assisted clients and helped organize and stock goods at the ERA Food Pantry. 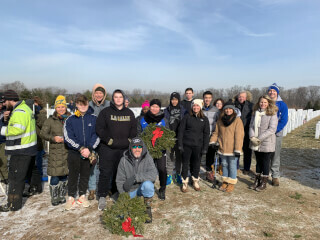 On Saturday, February 2nd 15 DLFF Scholars and parents volunteered to pick-up memorial wreaths at The Washington Crossing National Cemetery. In just a couple hours approximately 11,000 memorial wreaths were removed from veteran graves. 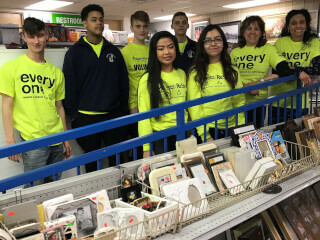 On Tuesday, January 22nd DLFF staff and scholars volunteered at Habitat for Humanity's ReStore in Langhorne. Volunteers helped organize and stock goods and also helped customers with their store purchases. 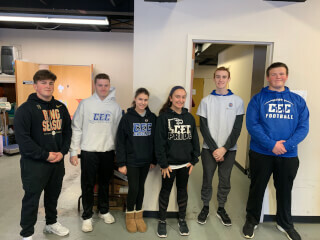 On Saturday, January 12th DLFF students assisted clients and helped organize and stock goods at the ERA Food Pantry. Back to School/Welcome brunch for the 2018-2019 DLFF Scholars and their families. 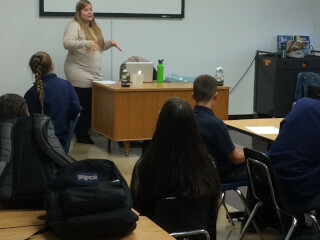 Time Management presentation for the incoming DLFF freshmen from the class of 2021.